Hot breakfast baps, pastries and refreshments provided. Professor Jan Godsell joined WMG in October 2013 from her prior position of Senior Lecturer at Cranfield University School of Management. Professor Godsell's career has been split between both industry and academia. She joined the faculty of Cranfield in 2001, following the completion of her Executive MBA there. She also completed her PhD at Cranfield, researching the development of a customer responsive supply chain. Professor Godsell is a Chartered Engineer and Member of the IMechE. She is on the board and scientific committee of EurOMA (European Operations Management Association), the cabinet of the UK roundtable of CSCMP (Council of Supply Chain Management Professionals) and the manufacturing steering committee of the IMechE. She is on the editorial board of 3 journals, including the International Journal of Operations and Production Management, and she is an advocate for improving the uptake of STEM subjects by school children. Neil Black is a Partner with extensive experience of advising on a full range of UK employment law, with contentious and non-contentious expertise. He is a seasoned tribunal advocate. He has particular experience in respect of TUPE, re-organisation, collective redundancy and strategic HR advice. Neil is also experienced in advising in respect of large scale changes to terms and conditions of employment and post-acquisition HR integration. Although he acts for a wide range of clients, Neil plays a key role in the manufacturing sector, sitting on the firm’s cross-office, cross-sector team and leading the manufacturing sector focus for the Manchester office. In addition to this, he heads up the Manchester Employment team and leads the National Employment Group’s Manufacturing Sector team. Neil has a particular interest in the food & drink and automotive sectors and prior to entering the legal profession was employed in a non-legal role with a major US automotive company. 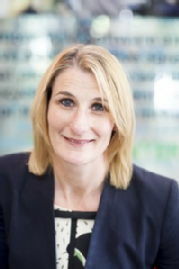 Helen Grover was appointed HR Director at GEFCO UK in June 2016. As HR Director Helen and her team are responsible for the full range of HR functions in GEFCO UK but also focuses herself and team on delivering HR excellence and developing the business to achieve its growth strategy through collaborative networks and partners within the industry. Helen is a Fellow of the CIPD. Prior to GEFCO UK she worked for National Grid and E.ON specialising in Talent, Performance Management and HRIS programmes. One of the overarching goals of GEFCO UK is to achieve Employer of Choice status in the Times Top 100 by 2021, Helen and the team are focused on delivering employee engagement initiatives that will deliver this goal.